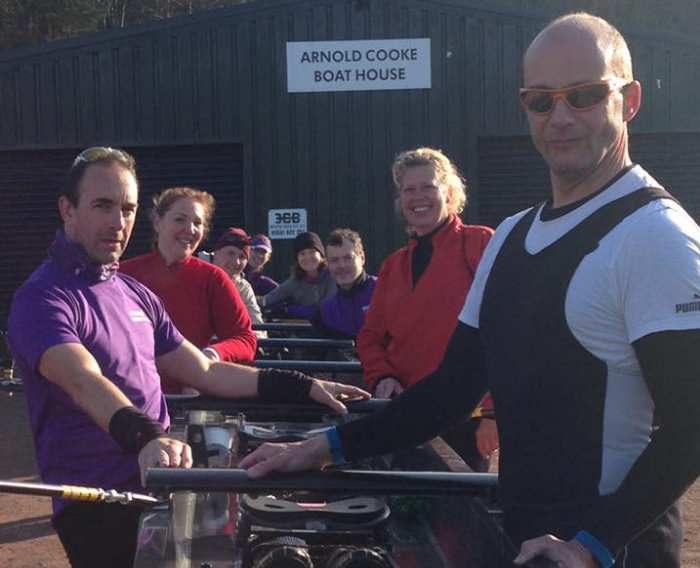 We are a small but friendly rowing club that continues to improve and expand its facilities and membership, welcoming all ages and abilities of rowers, scullers, coxes and coaches. Our youngest rower is 13 and our oldest is 79, still rowing internationally and winning gold medals. We have had crews competing at Henley (Veterans); the fours’ and eights’ and veteran Head of the River races on the Thames; the FISA World Masters’ championships, as well as plenty of more local regattas and head races on our stretch of the river Avon, at City of Bristol, Bewdley, Ironbridge and Ross to name but a few. Our passion for rowing extends to offering local schools and members of the community the chance to participate in a fast-growing sport. The club is located on the River Avon at Newbridge, Bath and offers its members a good stretch of river from Bath weir up to Saltford, which is about 4km end to end. Minerva Bath RC is where our club patron, Helen Glover, took up the sport that would lead to her Gold Medal in the 2012 and 2016 Olympics, the first gold medal awarded a female rower and the first of many she has gone on to win. If you would like to join us, as a cox, coach or rower, or you would like to sponsor us, we would love to hear from you. 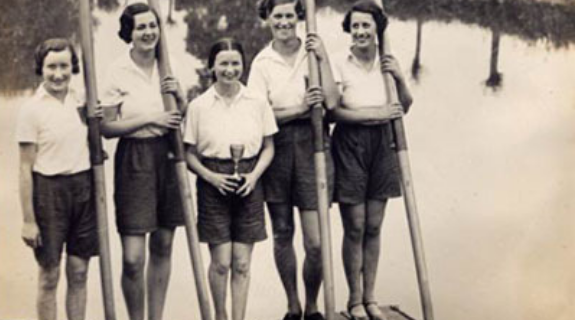 Minerva Bath Rowing Club was originally founded as Bath Ladies Boat Club in 1914 and was one of the earliest women’s rowing clubs in England. The club was strongly linked to the suffragette movement in the city, links which can still be seen today in our clubs colour of violet and gold. The club competed in and around the local area organising internal races and private competitions but didn’t join the Amateur Rowing Association – the governing body for rowing at the time until 1990. Bath Ladies Boat Club remained the preserve of women up to 1984, when a break away group of men joined from the City of Bath Rowing Club. In 1985, whilst still located on the east side of the city, Bath experienced flooding with the river waters reaching up to the club’s balcony and only a lot of hard work by its members kept the club up and running. 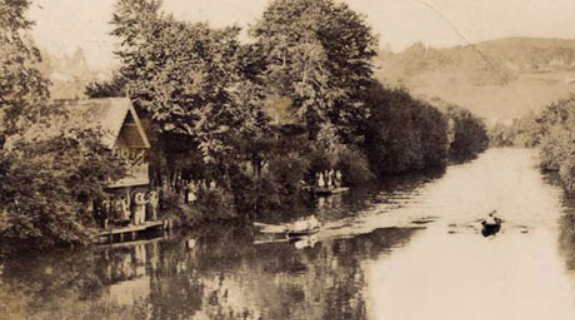 Minerva Bath Rowing Club came into existence in 1990 due to a merger of Bath Ladies boat club with the City of Bath rowing club. Minerva Bath moved to the current site in Newbridge on the western edge of the city in 2006. This has offered the rowers more stable river conditions being ‘down weir’ and a longer, more impressive stretch of river to row on. At Newbridge the club has continued to grow and flourish. In 2008, Helen Glover MBE first learned to row as part of the GB Rowing Team Start Programme, the ground-breaking talent identification and development initiative supported by National Lottery funding, going on to be a GB Double Olympic and three times World Champion. 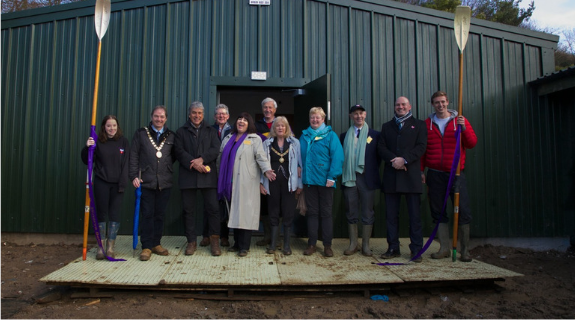 In 2016 the club facilities expanded with the construction of the Arnold Cooke Boat Shed, named after our honorary president and member of the GB 1964 Tokyo Olympic rowing squad. The city of Bath is twinned with Alkmaar in Holland. Twice a year, since 1987, the rowing clubs of ARZV in Alkmaar and Minerva Bath meet up to race and to socialise; a spring weekend in Alkmaar and an autumn weekend in Bath. Alkmaar is situated in the north-west of the Netherlands, approximately 30 miles from Amsterdam. The link between Alkmaar and Bath began just before the end of the Second World War, when fund-raising events were held to support the citizens of the Dutch city who had suffered deprivation during the German occupation. The first official visit to Bath by dignitaries from Alkmaar took place in 1946, but formal twinning links were not established between the two cities until May 1990. The clubs run an inter-club competition on each visit, with the winners taking home the fiercely fought for Challenge Shield. This fun challenge is open to everyone at both clubs and a great social event. The April the race is on the Noord-Hollands canal in Alkmaar, over 4000m. In October the return race is held at the annual Monmouth head race, over a shorter 3000m course. Alkmaar was founded in 1910 and has over 250 members. They are in the privileged position of being based in a town with three large canal systems, offering over 70 kilometres of clear water. Alkmaar has had several wins in the Amsterdam Head of the River race and holds a number of national sculling trophies.